Zuma's years in office were marked by economic stagnation and credit downgrades, faces 16 charges including fraud, racketeering, corruption, money laundering. 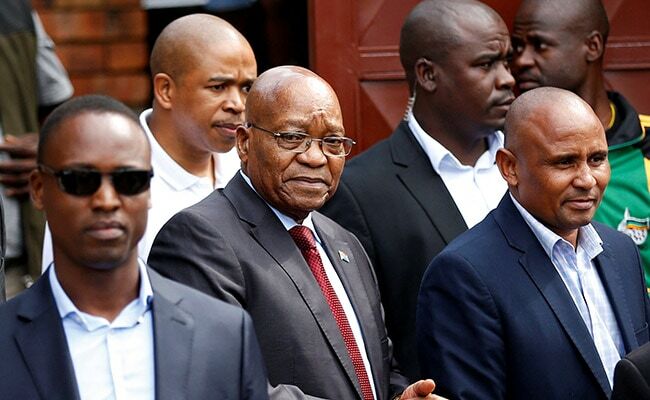 Durban, South Africa: Former South African president Jacob Zuma is due to appear in court on Friday to face corruption charges relating to a $2.5 billion arms deal, a scandal from the 1990s that has come back to haunt him within weeks of his fall from power. The 75-year-old, whose scandal-plagued nine years in office were marked by economic stagnation and credit downgrades, faces 16 charges including fraud, racketeering, corruption and money laundering. He is expected to appear around 0730 GMT. The speed with which prosecutors have booked Zuma's day in court is also a sign of the control that his successor, Cyril Ramaphosa, has managed to exert over the ruling African National Congress (ANC) and South Africa's bureaucracy. 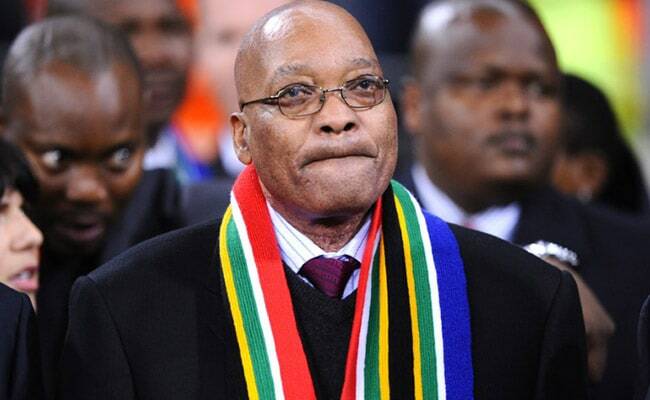 However, Zuma still retains some popular support, especially in his home province of KwaZulu-Natal. Heavily armed police in riot gear lined the square outside the court in Durban, as thousands of Zuma supporters gathered to express solidarity with a leader they say is the victim of a politically motivated witchhunt. Marchers, many clad in the distinctive yellow, green and black of the ANC, carried placards reading "Hands off Zuma" and performed the high-stepping toyi-toyi protest dance made popular in South Africa's decades-long struggle against apartheid. Businessman Siya Khoza said he admired Zuma's determination to bring in economic policies that he said were designed to spread the wealth in what remains one of the world's most unequal societies. "Whatever happens we will still support Zuma because we believe he brought us radical economic transformation and we still believe that him being in the ANC he will push for it," said Khoza, wearing a waistcoat emblazoned in ANC colours. Zuma' son Edward told supporters at nearby park where several thousand people held an overnight vigil that his father was not worried. "I would want to believe that as an innocent man, he is definitely not worried," the domestic News24 agency qouted Edward Zuma as saying. Zuma, who was forced to resign by the ANC last month, was at the centre of a 1990s deal to buy billions of dollars of European military hardware to upgrade South Africa's post-apartheid armed forces. But the deal was mired in scandal and controversy from the start, with many inside and outside the ANC questioning the spending given the massive social issues, from health to education, Nelson Mandela's party had to address after coming to power in 1994. Fallout from the deal has cast a shadow over South African politics ever since.